I was the proud owner of an ugly Christmas sweater a number of years ago, which I purchased as a joke (aren't they always?) and wore proudly...exactly once. 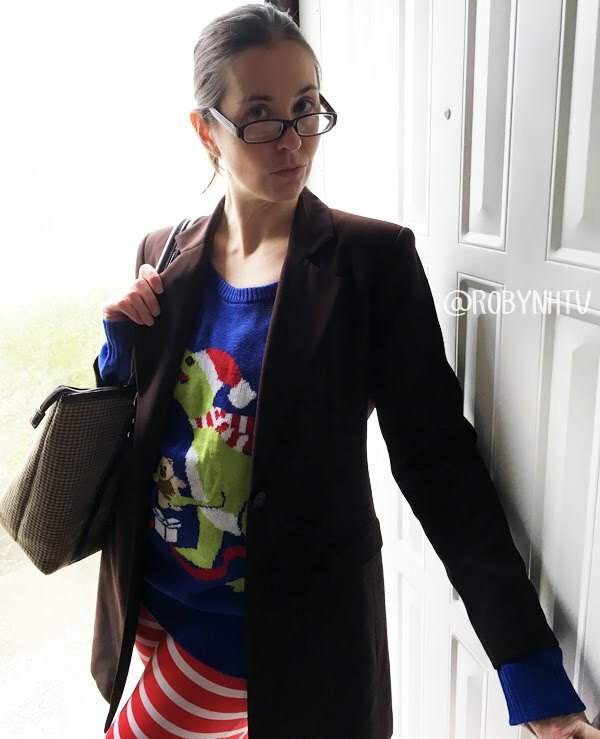 Don't get me wrong—I love the humor of a ridiculously ugly holiday sweater, and we all know I'm far from afraid to embarrass myself for a good laugh. But I'd never bought another one because I thought, "Why spend money on something I'll only wear once and then stick in a drawer until next year?" I'm willing to bet you've thought the same thing yourself. BUT LET ME STOP YOU RIGHT THERE. The trouble isn't the sweaters, people—the trouble is that we're using them wrong! 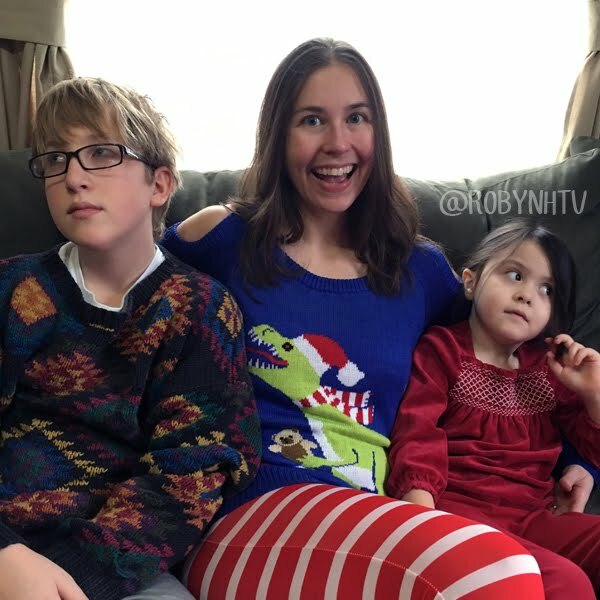 So this year with my new and improved non-matching-except-in-ugliness T-rex sweater/candy cane leggings combo, I've made it my goal to prove to you how you can really get an amazing amount of wear and enjoyment from your investment in an ugly Christmas sweater. Sure, you'll want to wear it to your casual family Christmas party, but why stop there? If you have a fancier holiday shindig to go to, you can dress your sweater up with a few simple accessories! 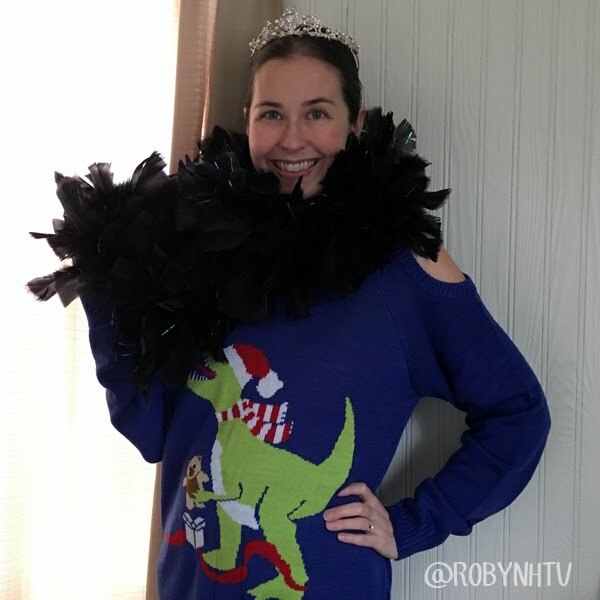 Miss Universe WISHES she'd thought to rock a boa-topped dinosaur sweater. Please note that the sweater was in no way responsible for the fact that the first ornament on our tree was a glow-in-the-dark bracelet that stopped glowing about seven months ago. ...and wear it in your festive holiday family photos! Not pictured: Most of my children, because OMG Mom, as if. Bring the joy of the season to the office by wearing a "business in the back, party in the front" ensemble to work. The jacket says you mean business in the boardroom, while the sweater says that even serious professionals think extinct animals with comically short arms opening Christmas presents are hilarious. And bring a smile/pity to your mail carrier's face with your ugly sweater when she's dropping off holiday packages! I have the best, most patient mail carrier in the universe. I hope she comes back someday. As you can see, this delightful little number is perfect for any holiday occasion—frankly, an ugly Christmas sweater is so versatile you'll never want to take it off! 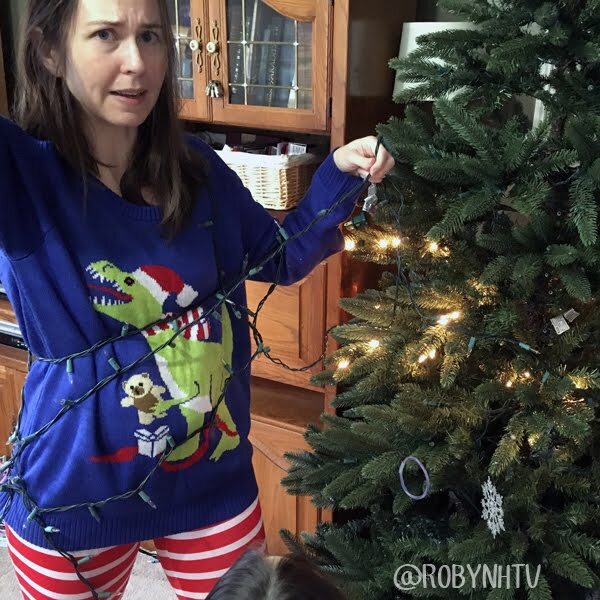 Special thanks to #TipsyElves for the holiday cheer—all opinions and secret desires to wear an outfit every day about which I can constantly point out "My pants match my dinosaur's scarf!" are entirely my own. 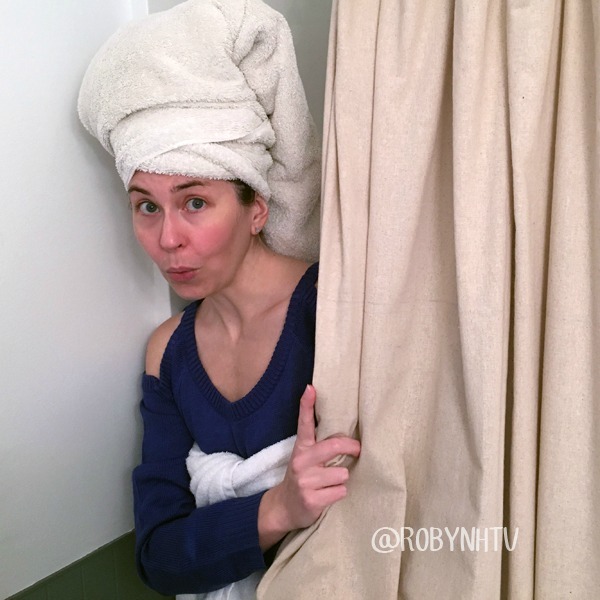 Labels: #SelfShaming, fashion, gift idea, holidays, humor, I'm having too much fun, List Lover, Sponsors Are Awesome, There might be something wrong with my head.